3 Course Christmas Lunch - £16.95 - available from 25th November - 30th December, 12-4pm. 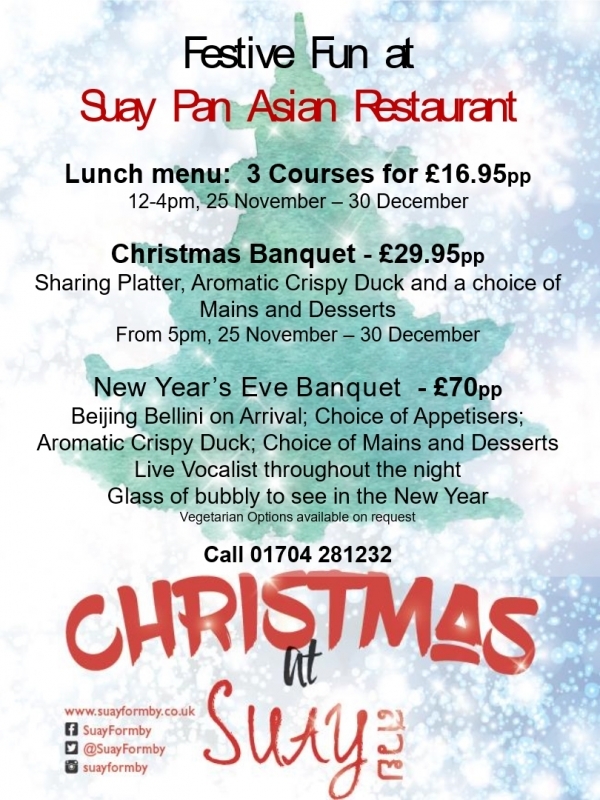 Christmas Banquet - £29.95 - available from 25th November - 30th December, from 5pm. New Year's Eve Banquet - £705.00 - including Beijing Bellini on Arrival, a live vocalist throughout the night and a glass of bubbly to welcome in 2019. Our A la Carte, Small Plate and Suay Away* takeaway menu will be available throughout the festive season, too. To reserve your table call 01704 281232.